Calder Door & Specialty Co. is a locally owned and operated business serving South Central Pennsylvania. With local roots dating back to 1897, the Calder family has worked diligently to maintain the high standards established years ago. Calder Door has a long history of sales, installation, distribution, service, and repair of commercial and residential garage doors and entrance doors. We sell and install products for your home including garage door, garage door openers, entrance doors, storm doors, patio doors, sliding glass doors, basement doors, and retractable awnings. Calder door also has a staff of service technicians that are trained and qualified to repair your garage door and garage door opener. The Calder philosophy is the core of their success; "Quality products installed by proud craftsmen who demonstrate their professionalism every day." Located in Lancaster, Pennsylvania, Calder Door services Lancaster, Dauphin, Cumberland, York, and western Chester County. Calder Door has one of the area’s largest showrooms with full size doors and garage door openers on display. 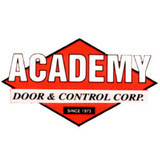 Calder Door is also Lead- Safe Certified Firm by the United States Environmental Protection Agency. We encourage you to explore our website and contact us to answer further questions about your needs. aker Door Company is a successful American garage door dealer that specializes in residential, commercial, agricultural and industrial applications. Since 1960, our growing team of dedicated employees are proud to serve communities near the area of York, Harrisburg, and Mechanicsburg. We thrive at making ourselves available for customers 24-hours a day, any day of the week for emergency repairs of all sorts. Our installers and technicians are committed to providing you with the best possible experience, providing end-to-end quality customer service and giving you personalized advice in purchasing your new garage door. Our company is best known for getting to our clients fast and efficiently, and leaving our work sites cleaner than we found them. Our full range of products and services include well-known garage door opener brand LiftMaster, as well as many useful accessories to go along your door. When you start thinking of buying, installing or repairing any type of garage door, consider us as your go-to team. Additionally, we are a proud member of the professional organizations, International Door Association (IDA) and the Better Business Bureau. (BBB) We welcome you to come drop by at one of our 2 locations to visit our showroom or you can call in for a free quote. Our main building is located at 3400 Board Road, York and our other location is at 4698 East Trindle Rd, Mechanicsburg. We are open Monday through Friday from 7:30 AM to 4:30 PM at Mechanicsburg and by appointment at York. On behalf of our entire team, thank you for considering our company. In hopes of hearing from you soon so we can turn you garage door dreams into workable plans. 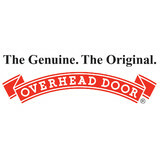 *Authorized Clopay Dealer* Hershey Door Service - Your Local Garage Door Experts Since 1979, Hershey Door Service, Inc. has been a family owned professional dealer of top quality garage doors, garage door openers, and various components associated with the overhead door industry. Our commitment to our customers has been the cornerstone of our success, and with more than 30 years of doing business and thousands of satisfied customers, we have worked hard to build a solid reputation. In fact, the majority of our business still comes from referrals by our customers. We have had the privilege of serving many generations within the same families on many occasions through the years, and have strived to build this kind of trust. Every customer is important to us, and we want to be able to serve you not only today, but in the years ahead as well. To do that, we must make sure we get the job done right the first time. Total customer satisfaction is the only way to achieve our goals, so let me tell you a little about ourselves, and what we have to offer besides just a commitment to great service. 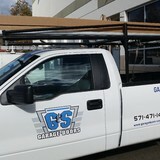 What kind of services do Timonium, MD garage door dealers and installers provide? Find garage door sellers and installers in Timonium, MD on Houzz. Narrow your search for Timonium, MD garage door sellers and installers by selecting the nearest city or zip code. Look at portfolio and product photos, and read reviews to find the best Timonium, MD garage door professional for your home.